Phoenix is the AGCAS journal, produced three times a year in February, June and October. Phoenix is predominantly for AGCAS member services to showcase and share best practice in careers and employability service delivery across a wide range of areas; it is the vehicle for members to share the plethora of initiatives, schemes, projects and collaborations that sit at the heart of the modern-day university careers service. Each issue is themed. Recent issues have covered regionalisation, big data, social mobility, student well-being, postgraduate students, placements, graduate destinations, graduate attributes and employer engagement. 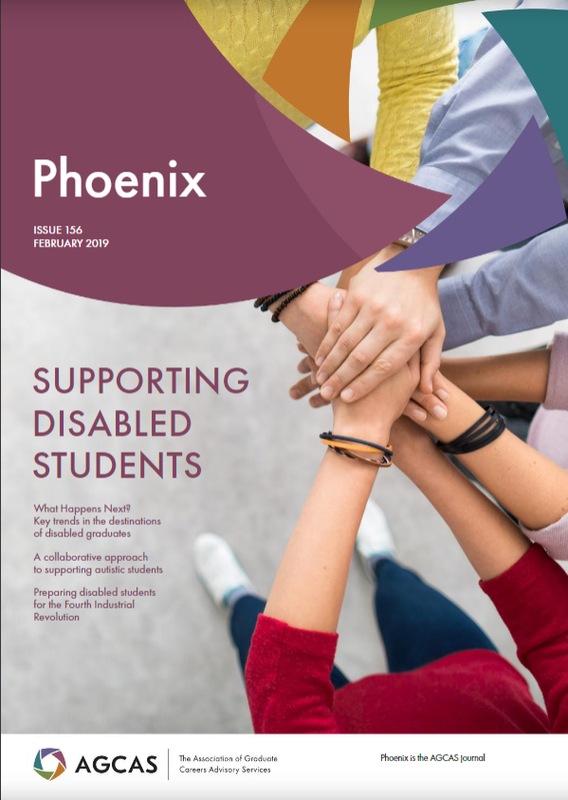 The February 2019 issue of Phoenix explores how higher education careers services are supporting disabled students. Collaboration with employers to enhance their disability awareness. To view earlier issues of Phoenix, please contact Gemma Green, Phoenix Editor.